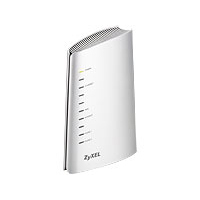 For connecting analog telephone networks and connecting analog telephone sets to Ozeki Phone System XE, an ATA device is required. An ATA device converts analog signals to digital and sends it over the internet. Every ATA device gets an IP address which is needed to communicate with Ozeki Phone System XE. 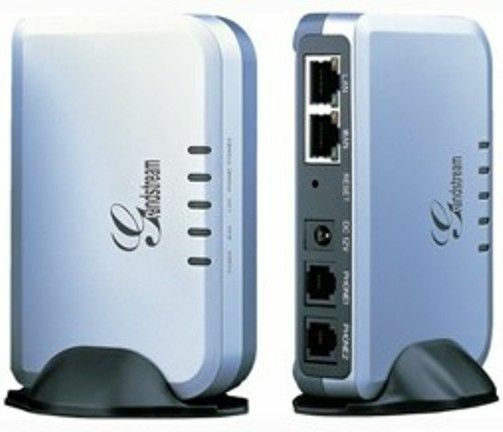 An ATA always has an ethernet connection to connect to the LAN, so it functions as a router. It also has FXO, FXS ports. 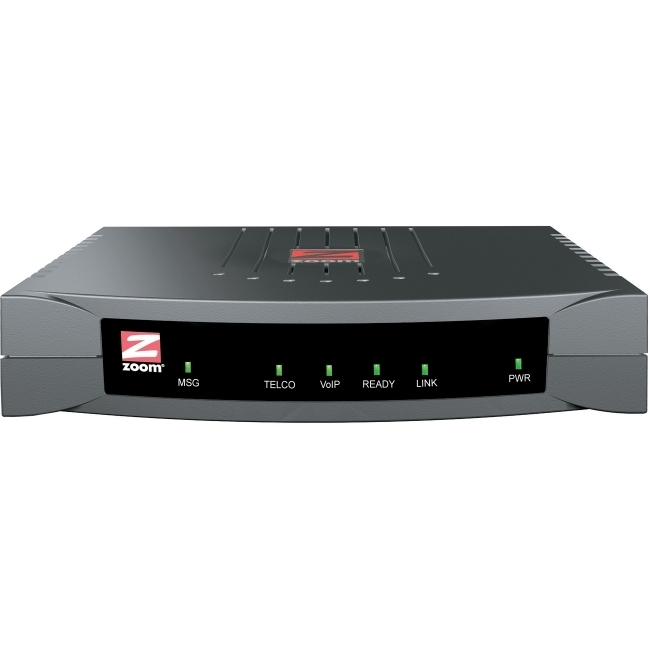 The FXO connects the ATA to the PSTN, which is the analog phone network. The FXS connects the ATA to an analog phone or a fax machine (Figure 1). Some ATA devices has no FXO ports. So if you want to connect to the PSTN, be careful what you buy. It does not provide connection to analog phone networks, only analog phones or fax machines. 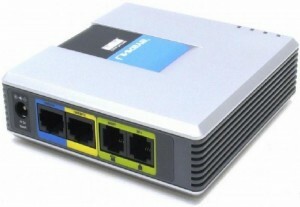 The Cisco SPA8800 IP Telephony Gateway is a multipurpose solution that small businesses can use to connect an on-premise IP private branch exchange (PBX) system to the public switched telephone network (PSTN), or connect a legacy time-division multiplexing (TDM) PBX or key system to voice-over-IP (VoIP) services. The Cisco SPA8800 provides a combination of four Foreign eXchange Office (FXO) and four Foreign eXchange Subscriber (FXS) ports to connect to existing analog phones, which helps protect and extend your existing communications equipment investments, too. It does not provide connection to analog phone networks, only to an analog phone or a fax machines. HT704 is a next generation, powerful 4-port IP ATA (analog telephone adapter) for residential users and small businesses. It is compact size, superb voice quality, rich functionalities, strong security protection, excellent manageability and auto provisioning, as well as unrivaled affordability enable service providers to offer high quality IP voice service at extremely competitive price. 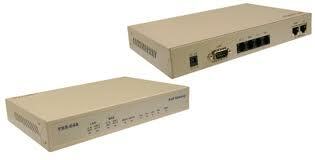 The HT704 is an ideal 4-port ATAs for large scale commercial IP voice service deployment. 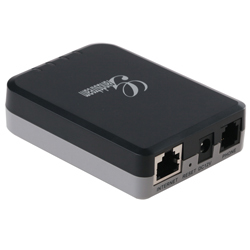 LinkPro ITG-S422 is a two FXO + two FXS port Gateway and support SIP RFC 3261 protocol. It supports an innovative intelligent call routing function that transparently routes calls to destination either through PSTN or internet. ITG-S422 provides Voice and Fax over IP services for ITSP/ISP (Internet Telephony Services Provider) and Office / SOHO IP-PBX application. 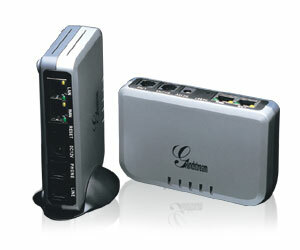 The Linksys SPA3102 supports one RJ-11 port to connect an existing analog phone or fax machine. The SPA3102 also supports one PSTN FXO port. 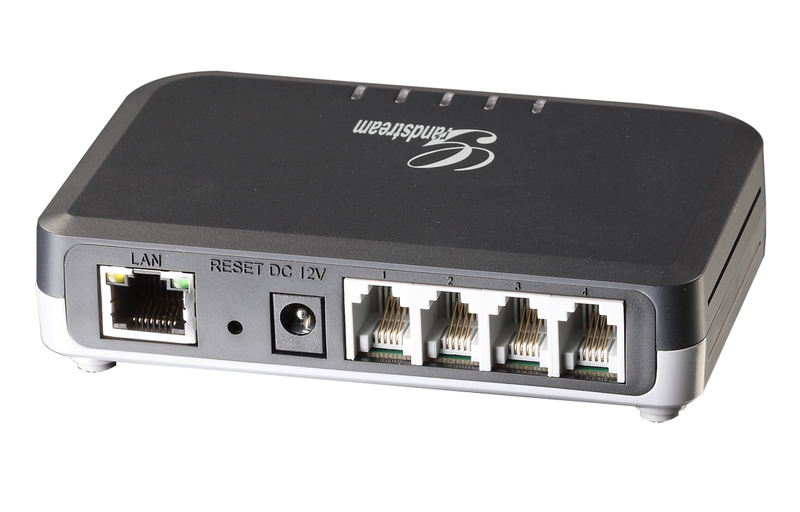 The SPA3102 includes 2 100BaseT RJ-45 Ethernet interfaces to connect to a home or office LAN, as well as an Ethernet connection to a broadband modem or router. The SPA3102 FXS and FXO lines can be independently configured via software controlled by either the service provider or the end user. Don't let analog phones come between you and Internet telephony. 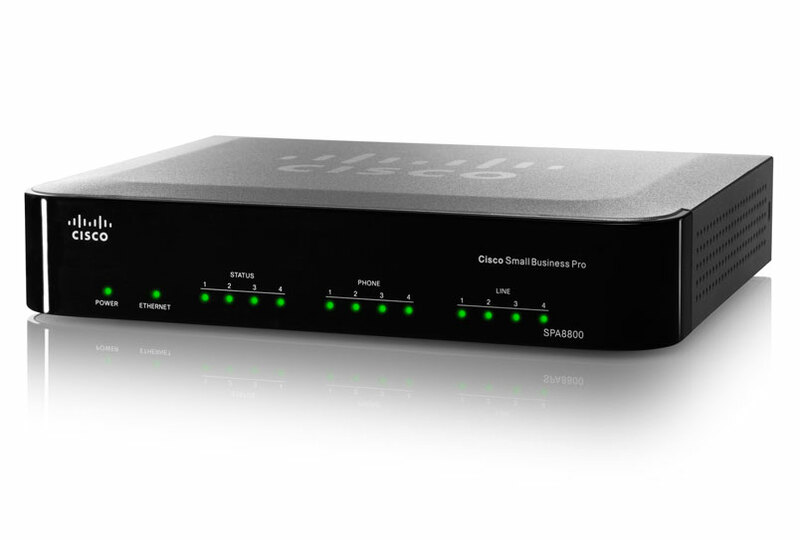 Part of Cisco Small Business Voice Gateways and ATAs, the SPA8000 8-Port IP Telephony Gateway allows for connections between eight analog telephones and an IP-based data network, providing small businesses with enhanced communication services through a broadband Internet connection. 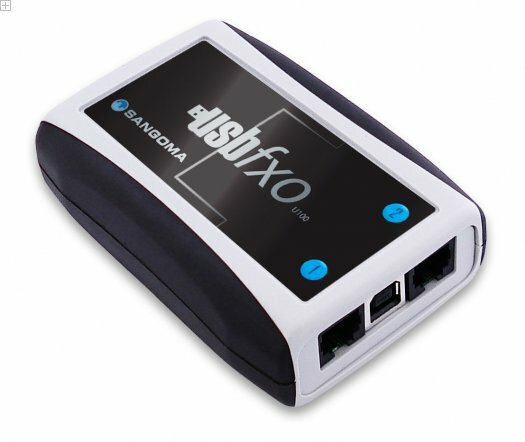 The Sangoma U100 is a low-cost development tool kit ideal for those who just want a simple external solution. The USBfxo is easy to install. There is no need to open up the computer to insert an interface card. Simply plug it in, configure Sangoma's Wanpipe drivers, as you would with any Sangoma card, and you're set to go. You can even connect multiple USBfxos in one system. It does not provide connection to analog phones or fax machines, only to analog phone networks. The Model 5801 and Model 5802 support industry-standard Session Initiation Protocol (SIPv2) and work with a wide range of service providers and SIP-based VoIP equipment. Both models provide one FXS and one FXO port and allow calls to be bridged between the Public Switched Telephone Network (PSTN) and Voice Over IP (VoIP). The P-2302HW-P1 is a 4-port wireless router with Voice over IP (VoIP) communication capabilities that allow you to use a traditional analog telephone to make Internet calls. The P-2302HW-P1 is also a complete security solution with a robust firewall and content filtering. The P-2302HWL-P1 adds a Public Switched Telephone Network (PSTN) line feature which allows you to use your regular phone services and internet telephone services at the same time. Model P-2302HW does not provide connection to analog phone networks, only analog phones or fax machines. The single box serves two communication lines simultaneously; and its concurrent G.729 capability on each phone port is a great solution for environments with limited bandwidth. The flexible dial mechanism and one or two communication lines can be assigned freely to two phone ports. 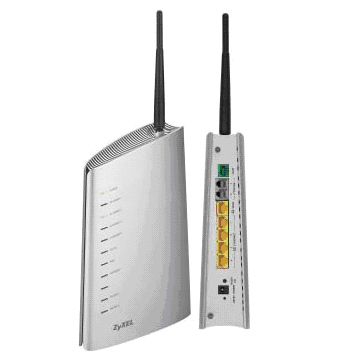 The P-2302RL-P Series is an inexpensive, easy to install and use, clutter-free solution to broadband users connecting to the Internet or a local area network. The users can also effortlessly configure the routing/bridge mode with WebGUI according to environment needs. Model P-2302R does not provide connection to analog phone networks, only analog phones or fax machines. 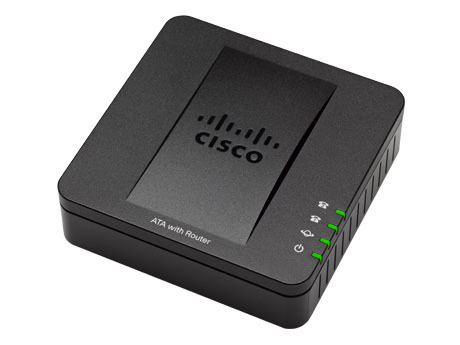 ATA devices are used to connect analog phones or analog phone lines to your computer. The number of FXS ports determine the number of phones that can be connected. Analog phone lines are connected to FXO ports, the more FXO ports you have the more analog networks you can connect with Ozeki Phone System XE. 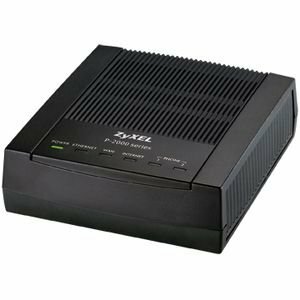 How to connect analog or VoIP desktop phones to Ozeki Phone System XE.